Daniel Clifford stuffs the red mullet with Spanish ham and the coastal herb sea purslane, before binding the fish with meat glue. 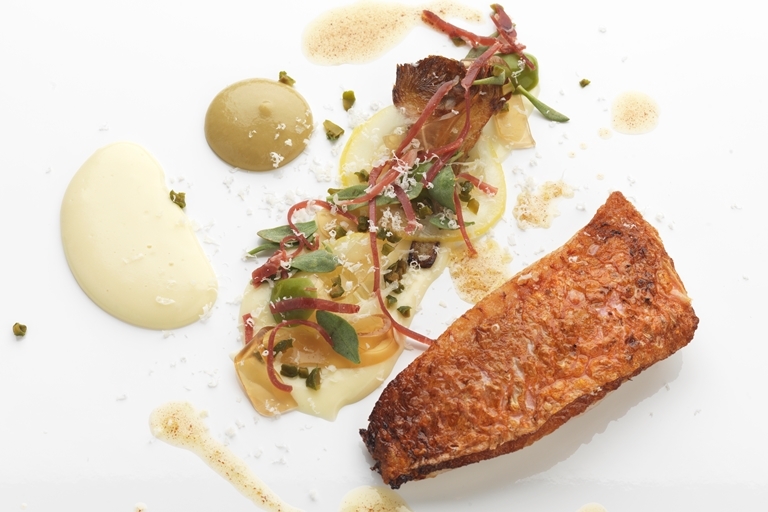 Other elements of this stunning dish include a green olive powder, Parmesan purée and caramelised artichokes. This recipe scored a perfect 10 on Great British Menu 2012.